Wicki Stone is a premier landscape stone supplier and building stone supplier, located in Warren County, New Jersey. We serve clients throughout New Jersey, New York, and Pennsylvania. 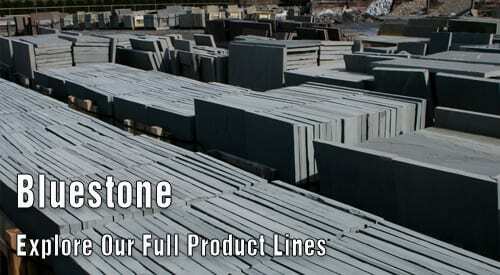 As a premier landscape and building stone supplier we stock over 1500 products on 10 acres. 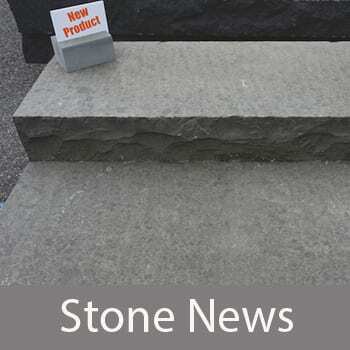 We are one of the largest suppliers of bluestone products in the region, we sell over 25 different types of wall stone, we have an unmatched selection of stone steps, and so much more! We also fabricate and split stone in our on site fabrication facility. Our Stone Reference Page answers common questions we receive, or is a place to highlight new products. Wicki Stone has been serving contractors and homeowners for nearly forty years. If you are looking for building or landscape stone we urge you to visit Wicki Stone - it is an unforgettable stone asset and premier landscape stone and building stone supplier to the trade as well as retail customers. Please stop or Contact Us by phone or email. 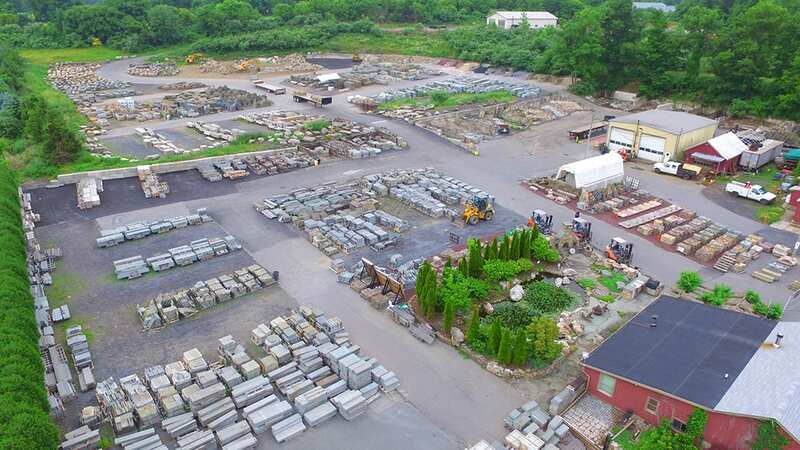 Wicki Stone is one of the largest suppliers of landscape stone in the northeastern U.S.. With over 1500 products on 10 acres we have an incredible variety of stone and a deep on site inventory. If you are a landscape contractor, construction contractor, or homeowner looking for unique, value priced landscape stone we urge you to visit Wicki Stone. Wicki Stone features a full selection of building stone in both full size veneer and thin veneer. 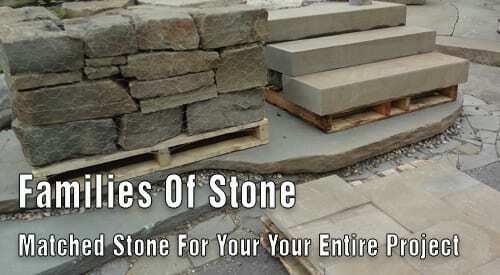 With dozens of choices we feel we have the stone just right for your next project. In addition, we have a deep on-site inventory of many of our building stone choices. You can often take the stone to the job site or your home the day you first see it. If you have an indoor or outdoor building stone project we ask you to stop by and see our unique selection. We cut stone, shape stone, split stone and create customized stone pieces in our on-site fabrication facility. Our fabrication facility provides custom landscape and building stone options for contractors and homeowners. 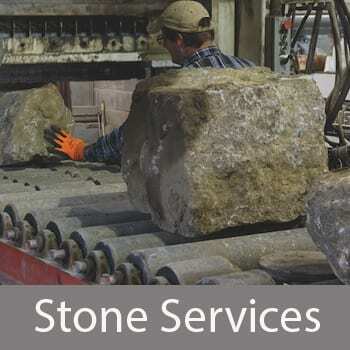 Learn more about our stone services. 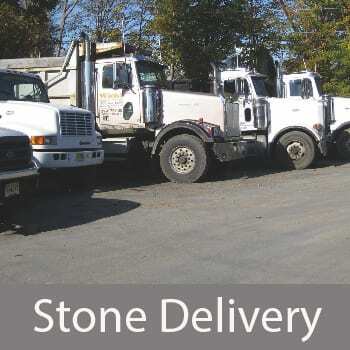 We deliver landscape and building stone daily throughout New Jersey, Pennsylvania and New York. We also ship throughout the United States through common carriers. New landscape and building stone products and other news from New Jersey's largest natural stone yard. Learn more.